"Becoming original is not the easiest path in the pursuit of happiness, but it leaves us perfectly poised for the happiness of pursuit." Originals: How Non-Conformists Move the World explores how each of us have the ability to influence and change our world in a way that makes a positive impact not only on today, but in years to come. 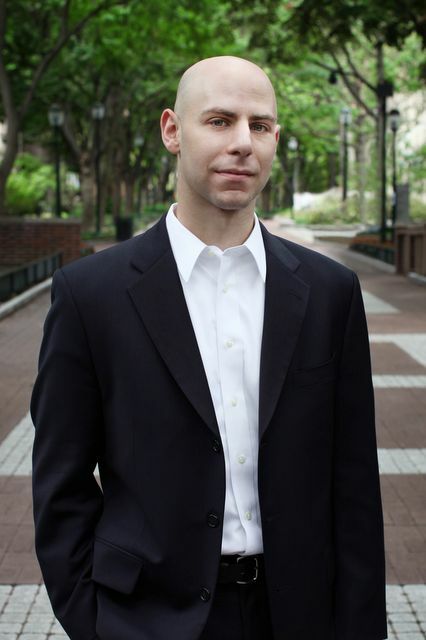 The author of Originals is the remarkable Adam Grant. Grant is, among many things, a professor at Wharton, a bestselling author, a PHD and a social scientist who speaks and consults with organizations all over the world. What I enjoy most about this book and Adam Grant in general is that he challenges me to look and think differently. I have no doubt that you’ll feel the same way after reading it. "The odds of producing an influential or successful idea, are a positive function of the total number of ideas generated." Grant’s research concludes that those with great “original” ideas aren’t necessarily the ones that are able to tell if their idea will be a hit or not. Interesting, right? Ultimately, the market will decide if you are deserving of being successful and that’s not always in our control. What is in our control, however, and the common factor that all “Originals” share is that they produce great ideas simply because they generate more ideas and more work. Makes sense, right? Produce more work and the likelihood of you producing an idea that is a hit or that is truly original goes up tremendously. The common perception is that you should be aiming to produce quality over quantity, but the opposite is actually true. What’s that quote, “You miss 100% of the shots you don’t take”? Similar thought process here. If you want to be original, the most important thing you can possibly do is to produce a huge volume of work. "Procrastination may be the enemy of productivity, but it can be a resource for creativity." Most everyone thinks procrastination is a bad thing, right? Especially in corporate America today. So much of the conversation is how can we be more productive and how can we make our teams/organizations more productive. While it’s true that there’s more “to do” today than ever before and the fact that we’re more accessible today than ever before, our lack of “procrastination” does often cost us when it comes to productivity. However, what we make up in productivity, we actually lose in creativity. Adam Grant dives into this topic by telling a story about Martin Luther King and his process of writing his famous “I Have a Dream” speech. Needless to say, MLK took his time in writing the speech, which really allowed him to remain flexible in what he was going to say, all the way up until the moment he stepped on stage. Procrastination in this instance also allowed MLK to be open to improvising his speech. While speaking, someone in the crowd kept yelling out – “tell them about the dream” and because MLK wasn’t tied down to an exact scripted message, he was able to draw upon his experience and his audience’s wishes to deliver, arguably, the most influence speech of the 20th century. This has very practical ties to the business world as well. Bestselling author Malcolm Gladwell says, “Would you rather be second or third and see how the guy in first did and then… improve it? When ideas get really complicated, and the world gets complicated, it’s foolish to think the person who’s first can work it all out. Most good things, it takes a long time to figure them out.” What Gladwell and Grant are ultimately saying is that there’s value in taking your time and it’s very difficult for the first person out to continuously grow and evolve to keep with up the rapid change of the market and our society. Sometimes coming in second or third place gives you the opportunity to succeed longer term. "Groupthink is the enemy of Originality, people feel pressured to conform to the dominant, default views instead of championing diversity of thought." Grant defines groupthink as “the tendency to seek consensus instead of fostering dissent.” After examining a couple of “groupthink” examples that were used in the book – Polaroid, Bridgewater Associates and the Bay of Pigs – I realized the huge risk that teams and organizations face if they have a groupthink culture. In this section, Adam Grant examines organizations that went along with groupthink and significantly paid the price for it and contrasted it with an organization who will fire you if you don’t push back and challenge the status quo. Originals by Adam Grant is a serious gold mine of great learning! I haven’t enjoyed a book this much in a few months. Grant’s writing style is engaging and the stories and examples used throughout the book are so interesting. Originals is one of those books that will change the way you think and look at situations that are going on in your life. That alone is worth the time investment, but since we’re all about being actionable here, the author includes “Actions for Impact” at the end of the book, which are tangible action steps to incorporate these ideas into your life.